There are eleven or twelve accounts of Paul traveling by sea in the book of Acts (9:30, through this chapter), about 3000 miles in all. Yet this chapter gives bay far the most detail of a journey by sea in the Bible, and even in the rest of ancient literature. Given the fact that Luke has carefully designed the rest of this two volume history, we should probably pause to wonder why he includes such a great amount of detail to the journey to Rome. It is not just that it is an exciting story (his readers were getting bored?) or that he was trying to fill out a scroll. There is a literary and theological reason for Luke’s inclusion of this lengthy story. Some have questioned the historicity of this story based on parallels with other ancient literature, including Homer’s Odyssey. Often a guilty man will try to escape justice (or fate), head out to the seas to avoid capture, but ultimately he will suffer and die anyway. Paul is escaping from the Jews, yet is shipwrecked and eventually nearly killed by a snake, it is thought that Luke is patterning this story after the archetypal Greco-Roman novel plot-line. There is something to the parallels, and it may be that Luke tells this story in such detail because shipwrecks were popular in literature at the time, but this does not necessarily negate the historicity of the story. Paul went to Rome, the best way to do that is by ship, it is entirely plausible that Festus would send him off in this way. 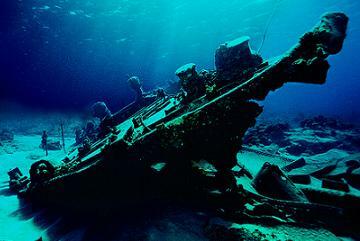 Shipwrecks were in fact common, so much so that Paul has already suffered shipwrecks twice in his travels (2 Cor 11:25)!